A complete waiver of visas for Indians last year made travel to this Balkan beauty that much easier. 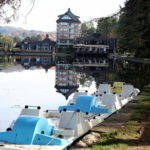 With ski resorts and spas, river cruises and cycling holidays, history and heritage, Serbia is an all-season, any-reason destination. 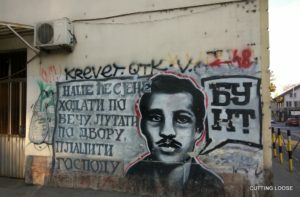 How far Serbia has journeyed from its restive history can be determined by the presence of Café Ferdinand Knedle on a busy Belgrade street named after Gavrilo Princip. While the eponymous Archduke’s fondness for knedle–home-made plum dumplings–is common knowledge, the same cannot be surmised about his feelings towards Mr Princip. The latter had, after all, effectively halted his ascendency to the Austro-Hungarian throne by shooting him dead that June morning of 1914 in Sarajevo. My attention is lightly drawn to this inescapable irony by archaeologist-turned-travel expert Luca Relic, fount of local knowledge and enthusiasm. He fills me in as I photograph the charcoal likeness of the Slavic nationalist on a wall en route said café. Our morning had started with an invigorating round of Turkish coffee, followed by burek and yoghurt, a popular Serbian breakfast. The coffee was had at a local bistro curiously identified by a punctuation symbol, Kafana Question Mark. 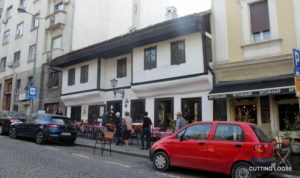 Built in 1823 as a traditional Balkan house, it is believed to be the oldest tavern in the Serbian capital. It came by its present moniker when attempts to name it after the cathedral across the street were stymied by powers-that-were and the owner found himself, quite literally, at a loss of words. The assassination of Franz Ferdinand, largely believed to be the flashpoint of the WWI, was in fact a political killing planned to stem imperial expansionist moves. Instead it served imperialists with an unassailable excuse to invade the principality of Serbia on a platter. The ensuing tug-of-war found the Slavs eventually breaking away from the Austro-Hungarian Empire to form the Kingdom of Serbs, Croats and Slovenes in 1918. Following WWII, they merged with the Federal People’s Republic of Yugoslavia under Josip Broz Tito. For many, this was the realization of a dream nurtured by southern Slavs since the 17th century. Bosniaks, Bulgarians, Croats, Macedonians, Montenegrins, Serbs, and Slovenes had long yearned for a nation to call their own. 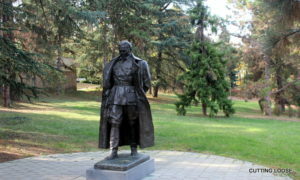 Yugoslavia was to experience a high degree of prosperity under Tito’s particular brand of market socialism–self-management by the working class–in the early decades of his regime. 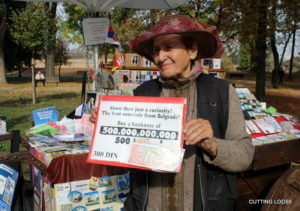 Subsequent market mechanisms would lead to decentralization, widening of the economic divide, large-scale migration to richer republics, and social inequalities. Then along came Slobodan Milosevic, reviled and admired equally, depending on leanings. In the 90s a series of stage-managed (it is increasingly believed) wars, and NATO bombings, found the spirited Balkan country tragically unraveling. Of the disintegration were born Slovenia, Croatia, Bosnia-Herzegovna, Macedonia, Montenegro and the Serbia of today. In the end, it appeared, inat had won. Of Turkish origin, the word, meaning persistence, seeks to broadly define a cultural attitude, of proud defiance and self preservation Serbs sport even when disadvantageous to the self. The Turks knew of this first-hand, of course, with the Ottoman Empire having lorded over the Balkan region since the 16th century. It wasn’t till the Serbian revolution in early 19th century that the Pashas’ strangle-hold loosened some. But not without its share of setbacks; the Skull Tower at Nis is a chilling invocation of one such that transpired in 1809. Fearing impalement by the Ottomans if captured, a rebel leader set of a gunpowder explosion that killed him and all in the vicinity. 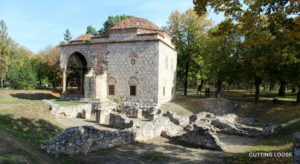 In turn, the Ottoman commander had their skulls embedded in a stone tower to serve as a warning to others. Today, the tower stands enclosed within a pretty little chapel set amidst verdurous grounds. Located in the country’s southeast, Nis (ancient Naissus), birthplace of Roman Emperor Constantine, has revealed some of the best preserved artifacts from the later Roman era at Mediana. They include the remains of a villa said to hark back to Constantine’s reign (306-337CE), complete with a mosaic-floored peristyle, thermal bath and granary. The Turkish-era fort houses within its vast girth a public park dotted with vestiges of a hamam, a mosque-turned-contemporary art gallery, cafes and souvenir shops. Come summer, it also hosts one of Serbia’s eagerly anticipated music events, an international jazz festival playfully dubbed Nisville. Another well-known Nis resident Stevan Sremac, celebrated for writings soused in realism, humour and satire, has been immortalized in bronze. 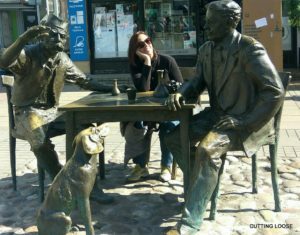 The sculpture depicts him seated across the table from tale-telling hunter Kalca, a fictional character from one of his works, while Kalca’s pet dog Capa looks on. Visitors are likely to stumble upon this delightful photo-op at the top end of Kopitareva Street. Should they, like me, be strolling across the pedestrian-only square towards another one of Nis’ sundry draws–the Bohemian quarter where a classic Balkan lunch awaited me at the Kafana Galija. That Serbia was a meat-lover’s haven had made itself glaringly apparent within a few hours of my landing in Belgrade. 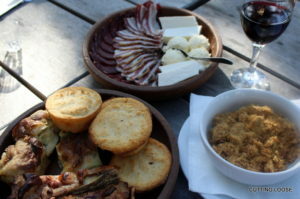 I had been introduced to all manner of barbecued, grilled, cured, pulled, smoked and fried meat since, typically accompanied by crunchy salads, a variety of white cheese, and bread or polenta. Of the lot, I took to relishing the traditional appetizer, a mezze comprising sausage, cured meats, olives, fresh and pickled vegetables, ajvar (roasted pepper relish) and the ubiquitous kajmak (cream cheese); to the company of warm freshly baked pogacha and cabbage salad. Main meals alternated between pljeskavica (grilled, pounded meat patty) and cevapcici (minced meat kebabs). Every now and then I’d succumb to a round of sarma–rice and meat wrapped in cabbage or vine leaves. The sumptuousness was washed down nearly always with a gratifying shot of rakija (plum brandy). The Serbian revolution would also see the formation of the principality of Serbia, ruled alternately, often violently, by the Houses of Karadordevic and Obrenovic. The former, supported by the Russian empire, outlasted its Austro-Hungarian-backed rival by several generations. Indeed the last crown prince of Yugoslavia, Prince Alexander, and his family continue to reside in their palaces in Belgrade. Those long gone lie interred in the multi-domed St George’s Church in Topola, a picturesque wine-growing region in central Serbia. The mosaic-replete church, also known as Oplenac after the hill it crowns, is reminiscent of Byzantine Revival architecture. Not far from it is the privately-owned Winery Aleksandrovic, over a hundred-years-old. Since 1991, when the original technique was shared by a former royal cellar master, it has busied itself in reviving and promoting Trijumf, a wine once savoured by many a European court. Another legendry dessert wine, Bermet, said to have been served aboard the ill-fated Titanic, is produced in the Fruska Gora region in Serbia’s north. I threw back a glass at the family-owned Bajilo Wine Cellar during a brief stopover at Sremski Karlovci, a pretty riverside town strewn with beautiful baroque and neo-classical buildings. 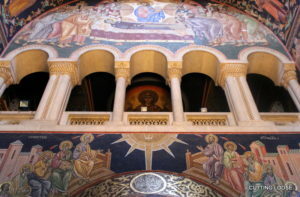 I had earlier on swung by to the Krusedol monastery to marvel at the brilliantly-hued medieval frescoes there. Both were comfortable detours en route Novi Sad, my intended destination. 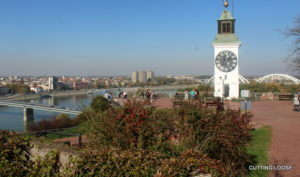 Where, banked on the Danube, the imposing Petrovaradin Citadel provides a sweeping view of the laid-back city as it stretches along the opposite bank. 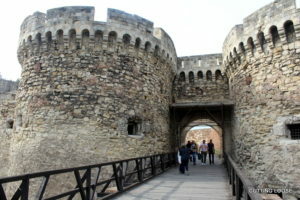 The fortress, now mostly a cluster of cafes, plays host to EXIT, Serbia’s largest music festival each July. Of the city’s many attractions, the Museum of Vojvodina and Gallery of Matica Srpska held my attention long after. For all its edgy history, Serbia greets its visitors with nothing but the most lilting gaiety, and the willingness to look its past in the eye. Exemplified best by a feisty Belgrade where the Sava and Danube rivers merge. Consequently, it is a capital so prized that a 115 battles have been fought over it till date. Though none of that gory past detectably spills into its carefree, exuberant present, structural heritage remains testimony to its multi-tiered history, legacies all from Ottoman, Hapsburg and socialist eras. Perched on the confluence, Kalemegdan Citadel, along with its surrounding parklands, is a trove of relics–Roman wells, Turkish tombs, ivy-engulfed churches, cafes, museums, and a dinosaur park even. A short distance away, the Church of Saint Sava, believed to be one of the largest Orthodox churches, marks its gleaming presence. The charming old district of Zemun, atmospheric by both day and night, is visited as much for walks along the quay, as it is for its fish restaurants, especially the perch preparations at Saran. 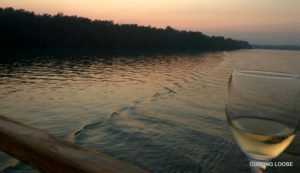 Come summer, the waterfronts of the Danube and Sava come alive to hundreds of splavovi–floating clubs–belting out pulsating music for those willing to dance till daybreak. 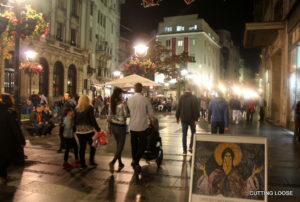 Year-round nightlife is seen at Savamala, Belgrade’s refurbished cultural district, Skardalija, its cobble-stoned Bohemian street, and the pedestrian boulevard Knez Mikhailova. Whether Belgrade dances like there’s no tomorrow because of its chaotic history, or despite it, is conjecture. What’s not is its lending itself to the cause of the Non-aligned Movement of 1961. That leaders once collectively engaged in maintaining global peace may seem farfetched given the world we inhabit today. It sure warmed the heart to come upon images of Jawaharlal Nehru, Gamal Abdel Nasser, Kwame Nkrumah, and Sukarna; founding signatories all, at the House of Flowers, Tito’s final resting place. NOTE: This article has earlier appeared in Hindu Business Line.